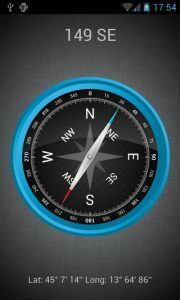 Next, find the app called Compass. Ensure also you have enough battery life for the field trip. Location Services consumes energy at a greater rate when actively tracking. Place fresh batteries in your GPS. Make sure you have spares as well. Always switch your GPS on a few minutes before collection location information. 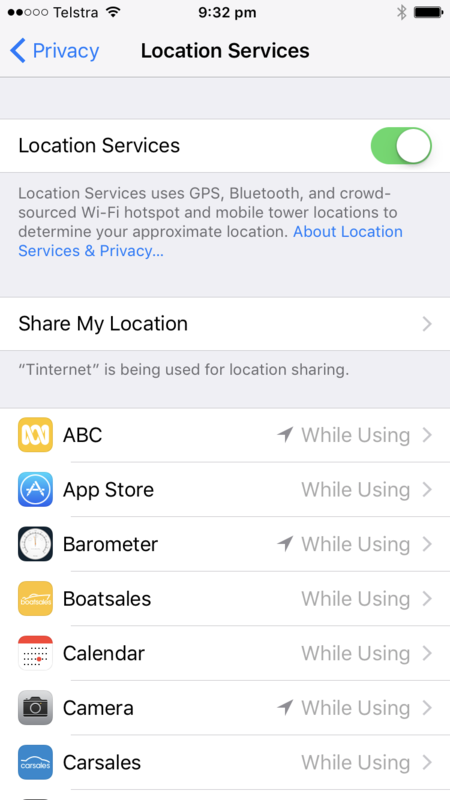 Find the data page of the GPS that lists out your current coordinates. I’ll assume you do not know how to save marks / points to the GPS and will have to record the latitude and longitude manually. Like handhled GPS devices, there are numerous flavours of the android operating system. With your phones fully charged head out into the field and start recording marks in your notebook. Make sure that you record enough marks to establish the extent of the area under discussion. If there are multiple areas being discussed during the field trip ensure that your notes include enough information to differentiate one area from another. A numbering system is helpful here: 1.1, 1.2, 1.3, 1.4 then 2.1, 2.2, 2.3 for the next area, and so on. After a day in the field, make sure you enter the marks into a spreadsheet as soon as possible (preferable on the same day as the field work). You will pick up any errors in your data and be in the best position to address these errors when the day’s events are fresh in your mind. Processing the data is easy. You just need a spreadsheet application like Microsoft’s Excel. Enter all your marks into a table using the column names mentioned above. It is critical that the table you create in your spreadsheet has at a minimum a latitude and longitude column. The mapping application must have these columns to plot the points. 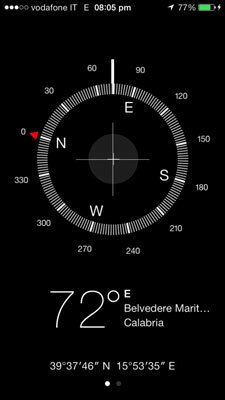 By default the iPhone compass shows values in degree / minutes / seconds and not decimal degrees. This is a problem for computers so for the purposes of plotting these marks on a map you will need to convert the marks to decimal degrees. The Australia Antarctic Division provide a web page that makes these conversions for you. Note that in this calculator latitude values marked as “S” for south need to be entered as negative values. For example the value: 27 degrees 26 minutes 24 seconds will need to be entered as -27 degrees 26 minutes 24 seconds. This table is available online as a CSV file in github. Use this file to test the plotting process. To make the map we are going to use ArcGIS Online. ArcGIS Online has a simple map viewer that accepts CSV files as input and will plot the contents of the CSV file on the map. CSV files are produced by your spreadsheet application. In Microsoft Excel a CSV file can be produced by clicking File->Save As and when the file dialog box opens select the file type of CSV (comma delimited) (*.csv). Remember where you saved the CSV file. Now find the CSV file you saved in the prior step and drag the file onto the map. If all went well the map should plot the points and automatically change the extent of the map to include all the marks you collected in the field. The map is interactive. You can click a point to reveal attribute information about each point. In the left hand side bar, you can change the appearance of the points on the map. Make sure you click Done to finish the import process. © Copyright 2017, Benjamin R. Hall. This work is licensed under a Creative Commons Attribution 4.0 International License. Opinions expressed on this site are my own and not the views of my employers, past and present.